Blog / How’s Your Documentation? – Technology Changes Fast; is Your Network Documentation Keeping Up? At TRINUS, our year-end is December 31st, so our Administration area is very busy in January; closing-off year-end files, starting new file folders, and lots of shredding. I walked past the main Admin office one day and there were 3 staff going through old files and discarding (shredding) the ones no longer relevant – or that were stale-dated. Like most businesses, we have to keep important records for 7 years. They kept 2 shredders busy all day and at one point, they had to take a break, as the shredders were overheating. It’s not my idea of a good time, so I quietly walked back to my office; best not to disturb them, for fear of being sucked into the vortex. 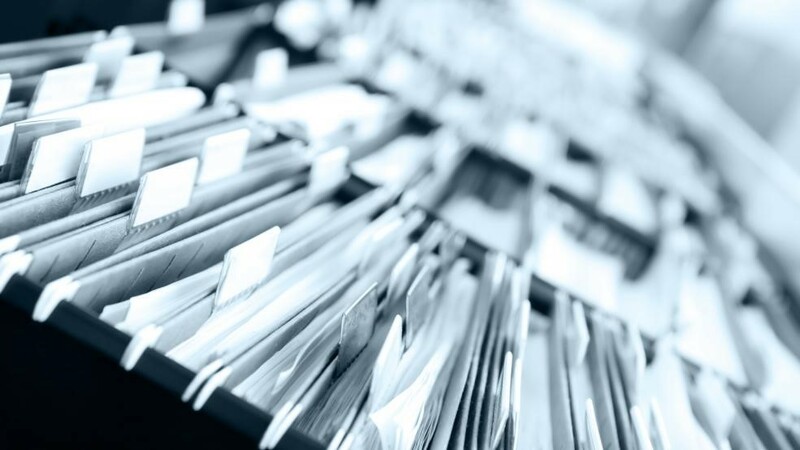 This is nothing new to the vast majority of our Clients; every organization of more than a few employees generates huge volumes of data and have many filing cabinets full of records. Most successful organizations take great care to insure their business paperwork is in order, but I’m willing to bet that one piece of vital information is missing – or at least, so out-of-date as to make it useless. Your Computer Network Documentation. This really struck home this week, as a Client wanted to have a brief telephone conference concerning their 2018 server upgrade plans. To assist with the call, I called up their Network Diagram, which shows all of the major server and network components, what each does, and how they are connected. Some of our Clients want us to keep a record of this information – and pay us to do so. I checked the date on the diagram, and it was towards the end of last year, so I was confident that the information was current. As the call progressed, I could see that there were some system changes that had crept into their systems, which we hadn’t recorded on the diagram. Even after a few months, the information was inaccurate. It will be a simple matter to update the diagram, but the point had been made. Time to be more diligent in tracking information. This information is vital for technical troubleshooting, discovering Security loopholes, deciding how best to plan for system upgrades, and a whole host of technical reasons. But it goes beyond a Network Diagram. It should also include an aged list of IT assets with manufacturer’s warranty information, a repair history, and ideally – selected performance metrics for key factors: Internet throughput, storage capacity and use, and server capability – to name a few. There is a misconception that your IT Service Provider is all-knowing, all-seeing. But this is not normally the case – and it’s a common problem in the industry. We’ve inspected the system documentation for several Clients who have used a wide variety of IT Service Providers, and it’s universally poor. For our part, we have some Clients that pay us for the documentation service, but many do not. It’s a labour-intensive process. At a minimum – and as a courtesy – we normally try to keep a simple Network Diagram for most Clients, as it helps us troubleshoot system problems. And we do keep a repair history. But as the complexity of networks grows, there needs to be more than an out-of-date road-map. So, at TRINUS, we are working on a new regime of Managed IT Services. Among the new offerings will be an increased emphasis on System Documentation. Armed with better information, we intend to decrease the time-to-repair, while helping our Clients make better strategic decisions about IT System enhancements. We hope to release the program in Q3 of 2018, all in the name of providing stress-free IT.